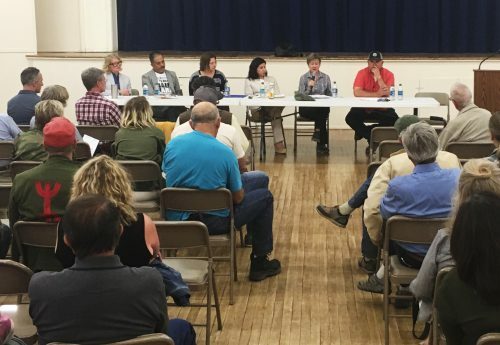 The Marfa City Council candidates forum took place on April 18, 2018 at the USO Building. The event was organized by Max Kabat and Trey Gerfers. Gerfers also served as a moderator for the forum. Participants were candidates Manny Baeza, Buck Johnston, Saarin Keck, Raul Lara, Natalie Melendez, and Mary Lou Saxon. Early voting begins Monday, April 23, 2018 and continues through Tuesday, May 1, 2018. Election day is Saturday, May 5, 2018. 00:19:40 – Question 1: Marfa is a diverse community of different wants and needs. As a council member, you will represent the entire town. What are the most pressing issues citizens have been discussing with you? 00:30:00 – Question 2: The relatively high cost of living makes it difficult for people to live here. Many folks live at or below the poverty line. What is the city’s role in making Marfa more affordable, and what are your specific ideas about doing so? 00:37:10 – Question 3: As property values have risen in recent years, some peoples’ taxes have gone way up. Currently, 19% of Marfa landowners’ taxes go to the city, while the remaining 81% goes to the county, school district, and the hospital district. Do you think this is fair, and if not, what do you propose to remedy the situation? 00:44:00 – Question 4: Any conversation about investing in our community has to involve investing in our youth. Do you have any specific ideas about how to go about doing this? 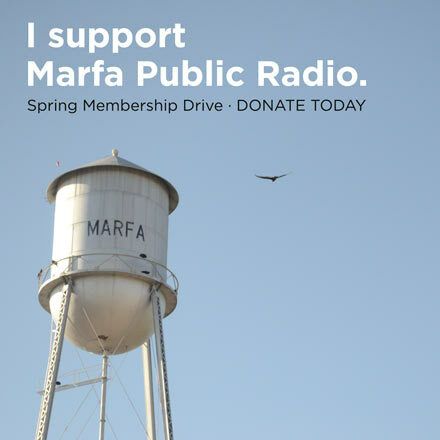 00:52:40 – Question 5: What do you love about Marfa, and why are you running for city council? 1:01:50 – How will you reduce administrative costs, or make sure extra taxpayer dollars go toward city services? How do candidates propose to keep Marfa affordable? 1:13:40 – How do you propose to finance affordable housing in Marfa? 1:24:50 – What would council do to rein in the police? Additionally, what would elected council members do about zoning? 1:35:00 -Is an Amtrak stop on any of the candidates’ agenda? 1:42:26 – Sandro Canovas comments on issues regarding adobe in Marfa. This entry was posted in KRTS News and tagged City Council. Bookmark the permalink.